This is the first post on our new blog, and we have been excited about it's launch. When we knew we we close, I thought about all the things I could write about. Today, all of those ideas were tossed. The above image was taken by Hannah Stonehouse, of Stonehouse Photography. It is an image that has been seen and touched the hearts of many around the world. It is an image of an unmeasureable bond between John and Schoep. I will not tell you the story of John and Schoep, because I would be doing you a disservice, you need to read it yourself here. By the way, if tearing up is something you only care to do in private, you have been warned. 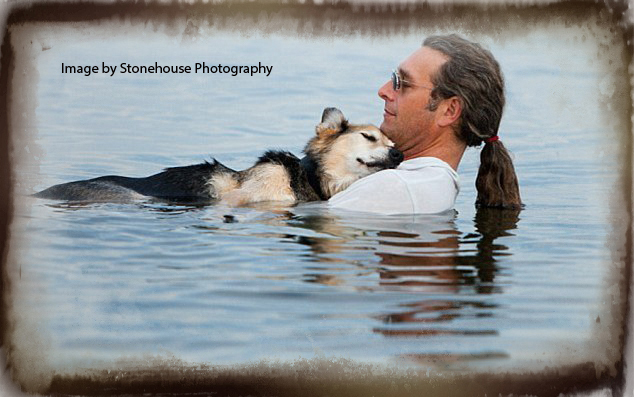 That image and their story touched me so much, that John & Schoep became a part of our family, and I started to follow John and Schoep's Facbook page. If you choose to read it (and I think you will) be warned, tearing up may occur followed by laughter and just happiness. Yesterday, I found out Schoep passed away. For the first few seconds, shock, then the sadness poured over me. I was heartbroken. Not only because Schoep was gone, and there would be no more daily updates, but i was heartbroken for John. Thank God, he will ALWAYS have the above image, that tells their story. For John, I hope he knows Schoep is never gone and there will be, when the time is right, another furry friend, that needs his love.